We are Leading manufacturer of Aluminium Podium. We can make this Aluminium podium in any size as per requirement of out customer. This is Speech Podium. We can make this Speech Podium Good Quality & Good Length as per requirement of our customer. This Speech Podium used for Speech. We are manufacturer of Truss Podium. We can make this Truss Podium good quality & good length as per requirement of our client. We are Leading Manufacturer of Aluminum Alloy Truss podium. 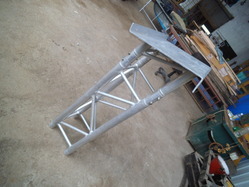 We can Manufacture this Aluminum Alloy Truss Podium in any zize as per requirement of our customer. This is called Structure Podium. We can make This Structure Podium in any size as per requirement of our client. This is called Aluminum Podium. We can manufacture this Aluminium Podium as per requirement of our client. 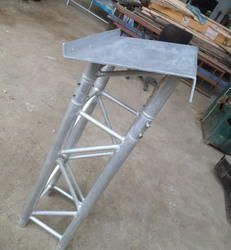 This is called Aluminium Truss Podium. 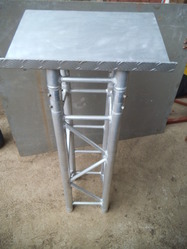 We can manufacture this Aluminium Truss Podium in any size as per requirement of our customer.